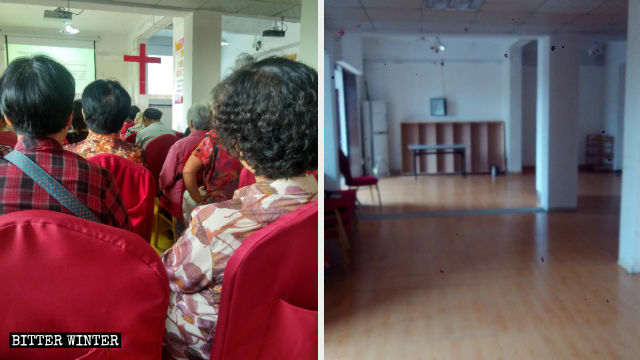 The Chinese Communist Party (CCP) not only has severely suppressed and shut down house churches but has also cracked down on the Three-Self Church that it actually controls. 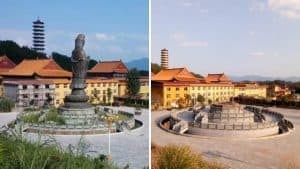 Reportedly, in 2018, virtually all church crosses were removed in central China’s Henan Province, with as many as 7,000 churches affected. 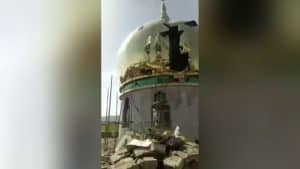 Numerous churches have also been demolished, others have been shut down or repurposed, as well as church leaders have been forced to “donate” their churches. 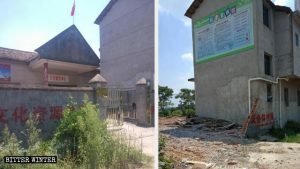 Central Church in Wolong town was shut down, with the CCP’s slogans displayed on either side of the entrance. The gates of Central Church in Wolong town, under the jurisdiction of Henan’s Yongcheng city, are locked, Christian couplets on either side of the entrance and the Chinese characters for “Christian Church” above the gate have been smeared over with cement, and CCP propaganda slogans are displayed on either side of the gate. From its appearance, it is impossible to tell that it is a church. A church believer told Bitter Winter that at around four a.m. on August 22, 2018, approximately 100 officials from 17 villages and the town government showed up at the church. 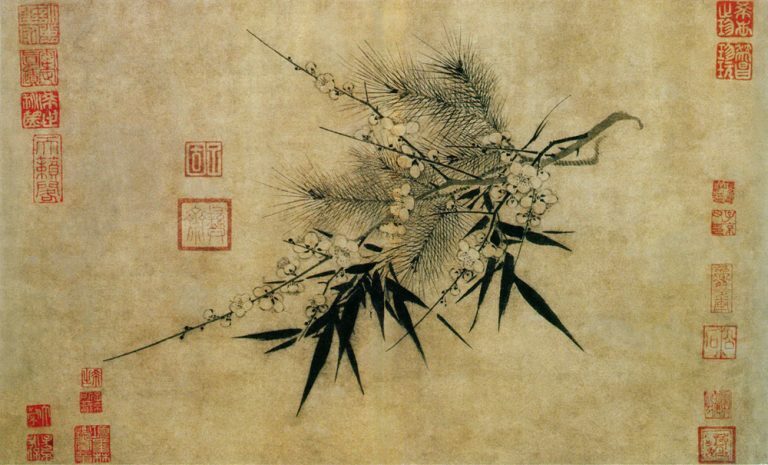 Mobilized by the Wolong town government, they were ordered to remove and confiscate the church’s furnishings. They stood outside the church, prohibiting believers from entering it, but some believers were already inside, attempting to guard the church’s property. The two sides got into a standoff. “If they still don’t leave, beat them. Even if you kill them, that is okay,” one official ordered. Soon afterward, government personnel swarmed the church, surrounded the unarmed believers and started punching and kicking them. Instantly, the church reverberated with the sounds of believers crying as they were beaten and scolded. “If you dare to oppose the government, this won’t end well for you,” one of the officials said arrogantly. A witness to the events recalled that one official covered with clothing a believer in her fifties, and other personnel kicked and punched her until she was covered with bruises and cuts. Through her tears, she shouted for help as she fled the church. 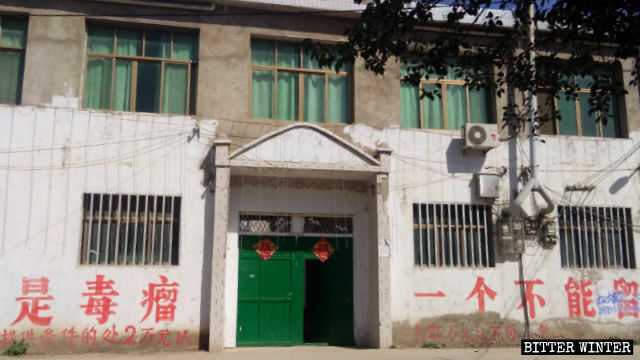 Over in Duqu town of Linying county, under the jurisdiction of Luohe city, Hedong Church was forcibly shut down in mid-November. 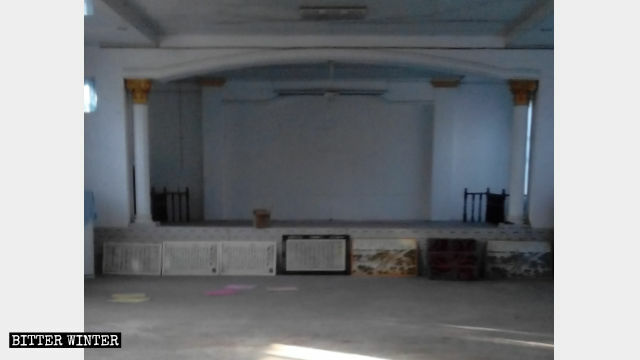 Hedong Church has been emptied out. According to a believer who requested anonymity, the city’s United Front Work Department and the county’s Religious Affairs Bureau issued an order to get rid of all traces of faith in the church. Subsequently, the church’s electronic organs, speakers, quilts, and other items were all emptied out. A few days later, the town’s Party secretary ordered personnel to burn and destroy all of the church’s gospel materials, Christian couplets, as well as stools that had been used for gatherings. 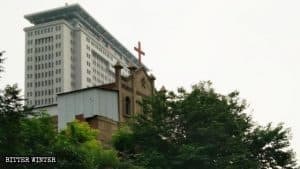 One of the church’s believers said that in 1989, Hedong Church was among the first batch of churches to receive approval from the Luohe Municipal Committee, and was also the first certified church in Duqu town. 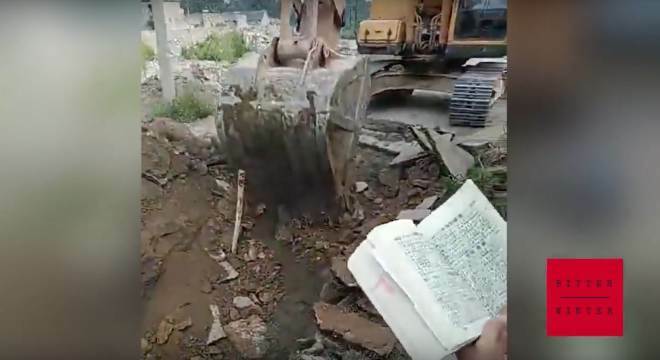 On December 27, authorities from the Xuchang City Development Zone ordered believers from Gangeli Church to move out all belongings, or else they would be thrown away. The believers sought to reason with the township authorities. During the ensuing dispute, the officials called in the police to take away three believers, and they later cut off the church’s electricity supply. As a result, the believers were forced to clear out the church. Mount Olive Three-Self Church before and after being shut down. 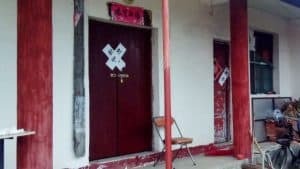 Similar incidents have been reported throughout Henan, like Mount Olive Three-Self Church in Nanyang city that was raided and shut down in late October.